Keys are essential but small components that can easily be misplaced, lost or broken. We carry a dozen different keys on us – for vehicle locks, ignition, home, office cabin, drawers and more. It can be frustrating if you misplace your keys or when a part of your key breaks off in the lock. At times like this you need a reliable locksmith agency that provides key duplication services 24-hours a day. Safe Key Locksmith Service has been serving the Gary, IN area for over a decade and can get a spare key made as per requirement in a short span. In the near-perfect world of locks and security, there’s no room for error. A small mistake can have serious repercussions later. This is why when entrusting your key duplication needs to someone, you need to ensure that it’s a professional. Inexperienced technicians from hardware stores or lock shops may not cut the key properly. 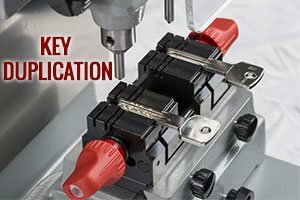 While a key that refuses to work can be quickly identified, an improperly cut key will work at first but in future the key may wear out and will no longer operate the lock. Only a professional with an eye for detail can get key duplication right and that’s why you need Safe Key Locksmith Service to service your request in Gary, IN area.